Sometimes the greatest evil lies within. The Dragon King who rules the land of Mensandor is none other than Quentin, whose courage and heroism have transformed him from an orphaned servant into a war hero, respected leader, and fierce man of faith. But even the powerful can fall prey to evil. The world is turned upside-down when the dark sorcerer Nimrood—long thought dead after a battle with the previous Dragon King—returns with a fearsome plan. Shattered by the death of a trusted friend, the abduction of his son, and loss of his enchanted sword, Quentin finds his faith tested like never before. All of his skill and training comes down to this final battle . . . one that seems impossible to win. 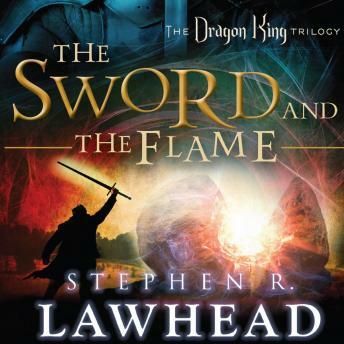 In The Sword and the Flame, the final volume of Stephen R. Lawhead’s captivating Dragon King Trilogy, the fate of the entire world depends on the outcome of this climactic battle between good and evil.